On Friday, May 10th at 8PM, Bridge Street Live is happy to welcome stand-up comedian Joey Kola to the stage. 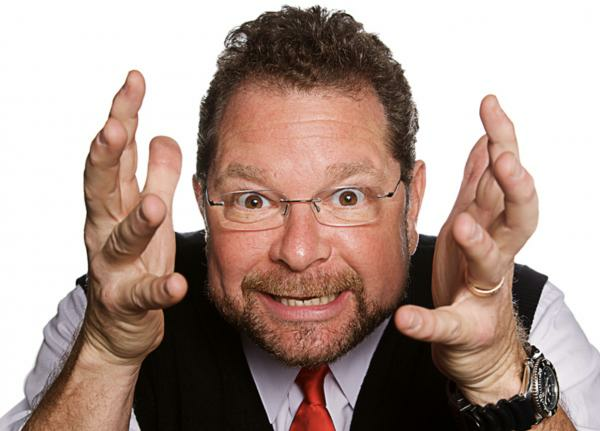 As a stand-up comedian for 36 years, Joey Kola has performed for hundreds of thousands of people throughout his career in the US, Canada and England. His high energy, spot on punch lines, and fast delivery assault an audience like a comedic freight train. Joey's topical and timeless material combine to always make his audiences laugh hard. Joey has worked at countless comedy clubs, colleges, casinos, theatres, cruise ships and corporate functions. Kola's also proud of the success he's had in raising great amounts of money for the many different charities he currently supports. Joey Kola's TV credits include, "The Tonight Show with Jay Leno", "The Late Show with David Letterman", "The King of Queens" with Kevin James, "The Martha Stewart Show", "Comedy Central Presents Joey Kola", "The Rosie O'Donnell Show", Comedy Central's "Premium Blend", The Rachael Ray Show, Jimmy Fallon and CBS's hit show "Kevin Can Wait" staring Kevin James, where Joey also plays the role of "Larry Anderson", the corn eating Assistant Principal on the show. Joey has been voted Best TV Warm-up Comic 5 years in a row by Time Out NY magazine. He has warmed up many shows, such as "The Rosie O'Donnell Show", "Who Wants To Be A Millionaire" with Meredith Viera, "The Late Show With David Letterman", "The Apprentice" and "Survivor" Finales, "The Jane Pauley Show" and CBS's "Wake-Up with Ali and Jack", "Rachael Ray Show", "The Marriage Ref" produced by Jerry Scienfield, "The Late Show" with Stephen Colbert and "The Chew". One of the hardest working comics in show business today, over 300 shows per year for the last 36 years, Joey also finds time to write for other comics. George Carlin called Joey "One of the strongest comics I've seen". Joey has also toured many casinos with the cast of the Sopranos as part of their live show "Comedy You Can't Refuse". Kola continues to make audiences laugh today. Joey's family, his wife and 2 kids, are a great source for most of his material. Joey Kola can play to any crowd, young or old, his material is versatile. He can work 'clean' or 'blue'. Joey loves to promote his shows. His radio spots on various stations around the country have been enjoyed by millions. Tickets for this comedy show are $15 for General Admission and $25 for VIP Reserved (plus fees).